This charming dresser and mirror set features an embossed champagne crocodile finish and decorative knob hardware. Not just nice to look at, the dresser has six drawers sturdily constructed with French and English dovetail joinery. The top two drawers are lined with felt to help protect delicate items. Pair with the matching bed for a glamorous and stylish set. 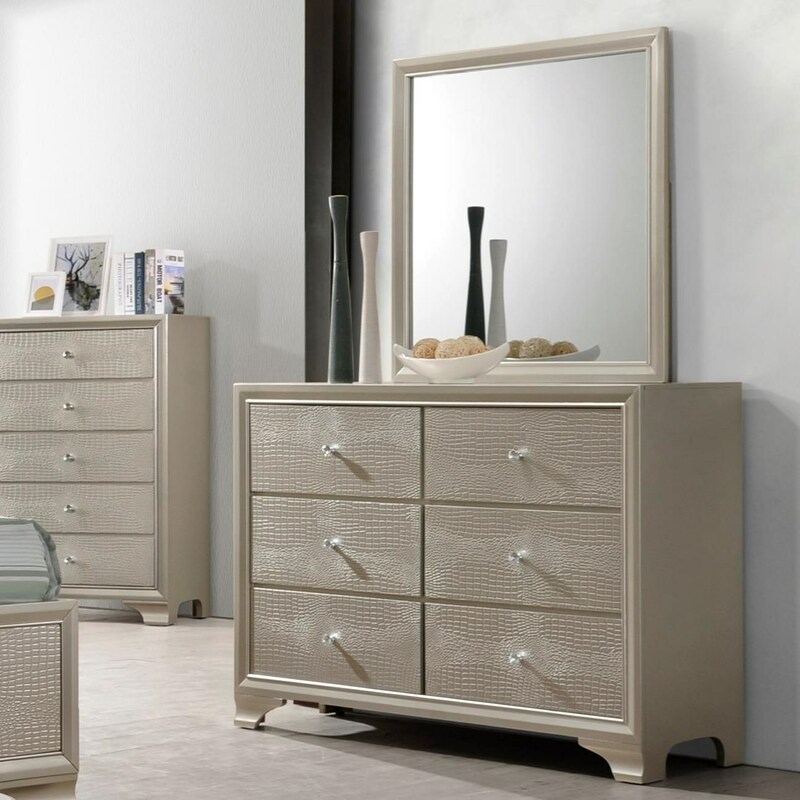 The Lyssa Glam Dresser and Mirror Set by Crown Mark at Royal Furniture in the Memphis, Nashville, Jackson, Birmingham area. Product availability may vary. Contact us for the most current availability on this product. The Lyssa collection is a great option if you are looking for Glam Contemporary furniture in the Memphis, Nashville, Jackson, Birmingham area. Browse other items in the Lyssa collection from Royal Furniture in the Memphis, Nashville, Jackson, Birmingham area.